Brian Urlacher has announced his retirement from the NFL after 13 seasons, all with the Chicago Bears. 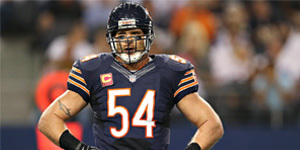 Urlacher has been without a team this offseason after he and the Bears failed to agree on a new contract. 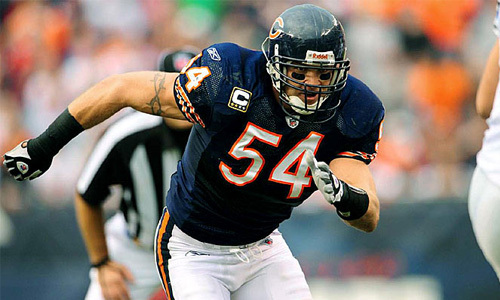 Urlacher retires with a Hall of Fame worth resume, being one of only four linebackers in NFL history to have over 40 sacks and 20 interceptions in their career. Urlacher finishes with 41.5 sacks and 22 interceptions.